Batty is a long established name in the East Riding of Yorkshire. The family’s connection to the building trade probably explains the two known marriages between the Battys and the Pickerings. 1. William BATTY baptised 3 December 1704 Withernwick, buried 2 September 1763 Withernwick, married 19 December 1733 Withernwick Elizabeth KIRK baptised 14 December 1710 Withernwick, buried 5 February 1744 Withernwick. 1.1. Isaac BATTY baptised 5 June 1737 Withernwick. 1.2. Abraham BATTY baptised 19 November 1738 Withernwick. 1.3. William BATTY baptised 6 February 1739 Withernwick, buried 30 April 1802 Withernwick, married 9 December 1766 Withernwick Hannah LOTT (daughter of Thomas LOTT) baptised 5 June Sigglesthorne, buried 20 March 1825 Withernwick. 1.4. Robert BATTY baptised 9 Janaury 1742 Withernwick. 1.5. Ann BATTY baptised 8 December 1743 Withernwick. 1.6. Ann BATTY baptised 22 September 1745 Withernwick. 1.7. Isaac BATTY baptised 18 June 1747 Withernwick. 1.8. Robert BATTY baptised 22 December 1749 Withernwick. 1.3.1. Jane BATTY baptised 18 March 1768 Withernwick. 1.3.2. Betty BATTY baptised 24 October 1769 Withernwick. 1.3.3. Hannah BATTY baptised 8 December 1771 Withernwick. 1.3.4. Margaret BATTY baptised 12 June 1774 Withernwick. 1.3.5. Eleanor BATTY baptised 26 June 1775 Withernwick. 1.3.6. Thomas BATTY baptised 16 October 1778 Withernwick. 1.3.7. Ann BATTY baptised 6 May 1781 Withernwick, buried 29 June 1824 Preston, married 19 May 1802 Preston William PICKERING bricklayer (son of Michael PICKERING and Mary SHARP) born 1 March 1779 Preston, died 1 March 1843 Preston. 1. John BATTY married Unknown UNKNOWN. 1.1. John BATTY mariner, baptised 21 October Withernwick, buried 6 September 1771 Hedon, married 14 November 1744 Hedon Hannah WATSON (daughter of William WATSON) baptised 12 April 1722 Sutton, died 5 August 1782 Hedon. 1.1.1. 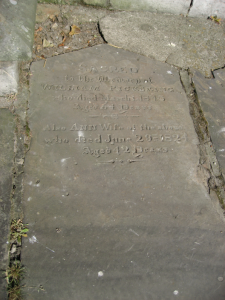 William BATTY baptised 22 September 1745, buried 9 October 1746 Hedon. 1.1.2. John BATTY baptised 21 August 1748 Hedon. 1.1.4. 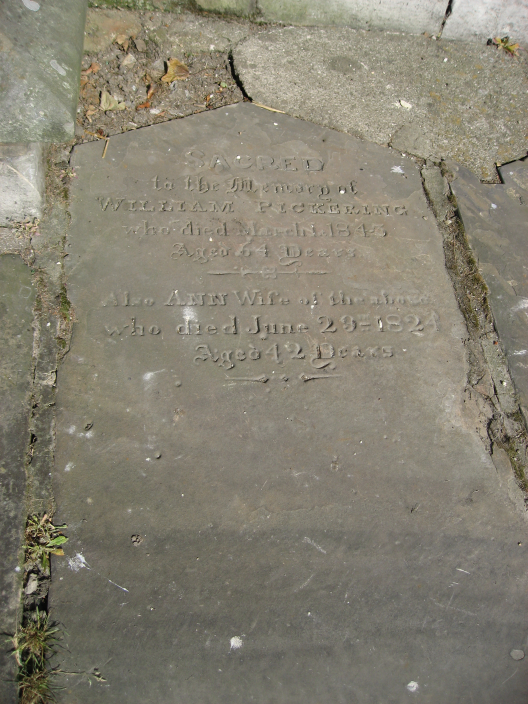 Thomas BATTY labourer, baptised 30 August 1751 Hedon, buried 23 March Hedon, married 1st 21 October 1771 Preston Ann PICKERING (daughter of William PICKERING and Hannah HOWSON) born c1751, died 1789 Preston, married 2nd 20 July 1793 Elizabeth TAYLOR born 1760, died 1832. 1.1.5. 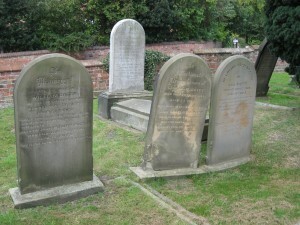 Robert BATTY baptised 10 November 1755 Hedon, buried 22 January 1760 Hedon. 1.1.4.1. John BATTY carpenter, born 1772 Paull, buried 28 September 1849 Hedon, married 5 July 1796 Preston Mary PEXTON (daughter of George PEXTON) baptised 25 March 1776 Hollym. 1.1.4.2. Thomas BATTY labourer, born 27 September 1775 Preston, married 7 June 1802 Albrough Rebecca PEXTON. 1.1.4.3. Daniel BATTY baptised 6 July Preston. 1.1.4.4. Robert BATTY born 1783 Preston, died 1783 Preston. 1.1.4.5. Daniel BATTY baptised 27 February Preston, buried 19 September 1849 Hedon, married 27 January 1806 Keyingham Ann KEMP born 1785 Thorngumbald. 1.1.4.6. Robert BATTY baptised 31 May 1785 Preston, married 18 January 1801 Sculcoates, Hull Mary LONGHORN vorn c1773. 1.1.4.7. William BATTY baptised 20 April 1794 Hedon, buried 8 April 1796 Hedon. 1.1.4.8. William BATTY baptised 5 November 1801 Hedon. 1.1.4.3.1. 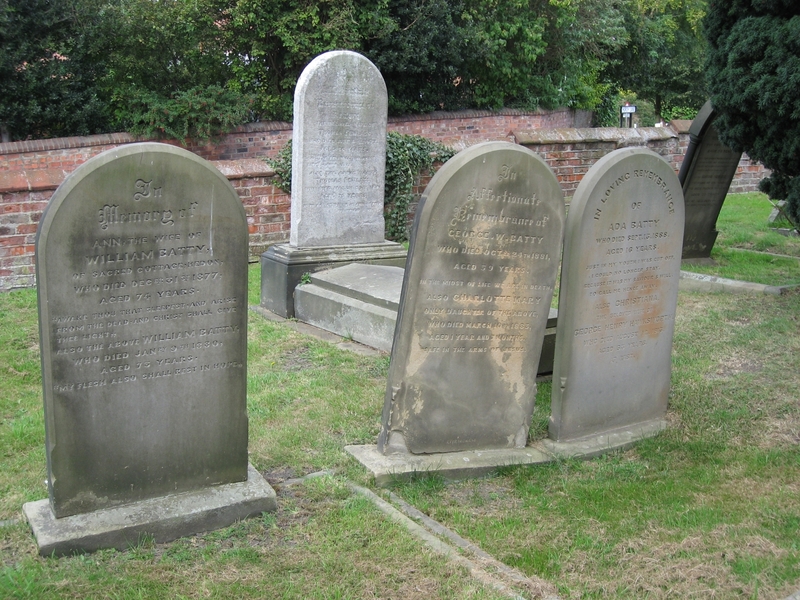 George BATTY tailor, baptised 23 April 1797 Preston, buried 14 March 1858 Hedon, married 8 November 1823 Ann BEAN born 1801 Burstwick, baptised 6 September Paull, buried 3 December 1872 Hedon. 1.1.4.3.2. David BATTY butcher, baptised 17 January 1799 Hedon, buried 3 February 1842 Hedon, married 23 May 1827 Hedon Martha GIBSON baptised 27 September 1807 Patrington. 1.1.4.3.3. Ann BATTY baptised 6 February 1801 Hedon. 1.1.4.3.4. Harriette BATTY baptised 26 October 1802 Hedon. 1.1.4.3.5. Charles BATTY shoemaker, baptised 16 September 1804 Hedon. 1.1.4.3.6. John BATTY joiner, baptised 16 December 1806 Hedon, married 1833 Sproatley Sarah MILNER. 1.1.4.3.7. Charlotte BATTY baptised 18 January 1809 Hedon. 1.1.4.3.8. James BATTY baptised 30 September 1811 Hedon. 1.1.4.3.9. Martha BATTY baptised 17 December 1813 Hedon, buried 28 September 1849 Hedon. 1.1.4.3.10. Joseph BATTY carpenter, baptised 4 January 1816 Hedon, buried 28 September 1849 Hedon. 1.1.4.3.11. Edward BATTY baptised 29 May 1817 Hedon. 1.1.4.4.1. Harriette BATTY baptised 18 April 1803 Hedon. 1.1.4.4.2. George BATTY baptised 28 September 1804 Hedon. 1.1.4.4.3. Thomas BATTY baptised 29 March 1807 Hedon. 1.1.4.4.4. Ann BATTY baptised 16 March 1809 Hedon. 1.1.4.4.5. George BATTY baptised 26 June 1811 Hedon. 1.1.4.4.6. John BATTY baptised 19 May 1813 Hedon. 1.1.4.4.7. Anthony BATTY baptised 19 May 1813 Hedon. 1.1.4.4.8. Maria BATTY baptised 2 October 1815 Hedon. 1.1.4.7.1. Nancy BATTY baptised 29 October 1807 Preston. 1.1.4.7.2. Ann BATTY baptised 29 October 1807 Preston. 1.1.4.7.3. John BATTY born 1 December 1809 Preston. 1.1.4.7.4. Robert BATTY baptised 5 April 1812 Preston. 1.1.4.7.5. Thomas BATTY baptised 5 September 1814 Preston. 1.1.4.7.6. Charlotte BATTY baptised 15 September 1816 Preston. 1.1.4.7.7. Carolina BATTY baptised 31 December 1821 Preston. 1.1.4.7.8. Emma BATTY baptised 29 August 1824 Preton. 1.1.4.7.9. Harriett BATTY baptised 26 June 1827 Preston. 1.1.4.7.10. Maria BATTY baptised 26 June 1827 Preston. 1.1.4.8.1. Robert BATTY baptised 21 June 1807 Preston. 1.1.4.8.2. William BATTY baptised 30 April 1809 Preston. 1.1.4.8.3. Thomas BATTY baptised 2 October 1811 Preston. 1.1.4.3.1. Mary Ann BATTY baptised 13 September 1824 Hedon, had a child by Unknown UNKNOWN. 1.1.4.3.1.2. Edwin BATTY baptised 3 February 1827 Hedon, died York. 1.1.4.3.1.3. Charlotte BATTY baptised 16 March 1832 Hedon, died 1912 Hedon, married Hull Howard MARKHAM born 1829 Leake Lincolnshire, died 1911 Hedon. 1.1.4.3.1.4. James BATTY stonemason, baptised 16 February 1834 Hedon. 1.1.4.3.1.5. Hannah BATTY baptised 10 June 1837 Hedon, died Skirlaugh, married 24 December 1859 Hedon George BILTON mariner, born 1835 Sculcoates, Hull. 1.1.4.3.1.1.1. Edward BATTY coal and lime merchant, born c1845 married 3 January Beverley Dorothy FAIRBANK born c1844 Sproatley. 1.1.4.3.1.1.1.1. 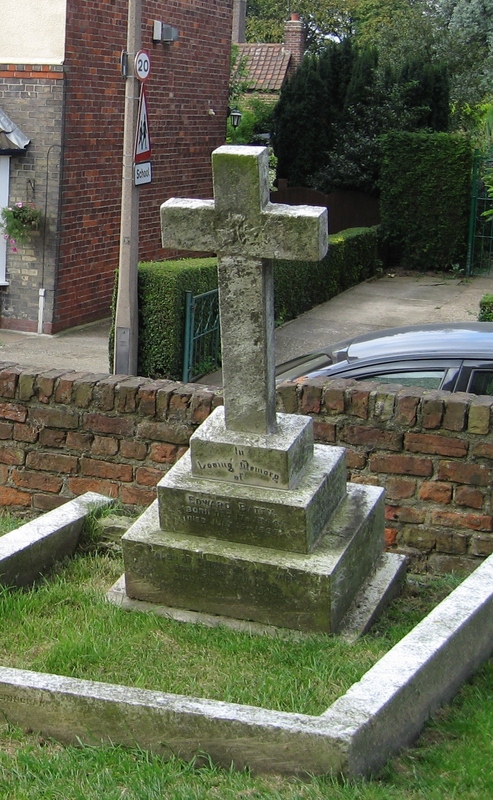 Edward Percival BATTY born 17 December 1864 Hedon, died 15 July 1897 Hedon. 1.1.4.3.1.1.1.2. Jane Gertrude BATTY baptised 15 May 1868 Hedon. 1.1.4.3.1.1.1.3. Frederick William BATTY baptised 22 December 1869 Hedon. 1.1.4.3.1.1.1.4. Arthur Ernest BATTY baptised 14 September 1871 Hedon. 1.1.4.3.1.1.1.5. George Herbert BATTY born 29 January 1876, baptised 4 March 1876 Hedon. 1.1.4.3.1.1.1.6. Lilian Emma BATTY baptised 5 July 1877 Hedon.